Protecting structures from the weather is the first job of every roof. 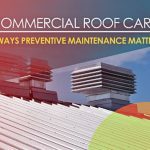 That task is even more important when a commercial roofing system must provide reliable protection for the people, equipment and inventory in a restaurant or the stores of a strip center. 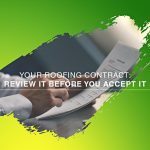 That’s why trusting Above It All Roofing and Construction, Inc for your roofing in Tulsa is a smart move. We have many years of experience in designing, installing and maintaining commercial roofing covering some of Oklahoma’s most popular restaurants, as well as some of the state’s busiest strip malls. Because the architectural design of these buildings most often includes a flat roof, it becomes more important than ever that you choose a roofing company with the right skills and expertise to do that job right. That’s Above It All Roofing and Construction, Inc.
Our commercial roofing team is made up of professionals experienced in all aspects of flat roof design and construction. We most often recommend the technologically advanced thermoplastic single-ply membrane (TPO) roofing system that has revolutionized the commercial and industrial roofing industry. A reinforced membrane with welded seams provides excellent durability and dimensional stability, is aesthetically pleasing, lightweight, and highly resistant. 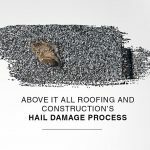 Whether you call on us for a new construction roof, a re-roof on an existing structure, or for repairs of a roof damaged by storms or time, Above It All Roofing and Construction, Inc strongly recommends implementing a dedicated roof maintenance program. 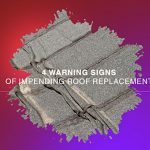 Flat roofs in particular are susceptible to drainage issues, and problems resulting from roof top equipment such as air conditioning condensers. 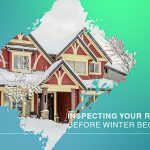 Regularly scheduled roof inspections and maintenance can help identify and correct minor issues before they spread and become expensive problems. The integrity of your roof is maintained, providing continued protection for the structure and its contents. Ensure that your restaurants patrons or retail shoppers are safe from the elements, with a durable, quality roofing system from Above It All Roofing and Construction, Inc. Contact us at one of our two locations: 6575 E Skelly Dr, Tulsa, OK 74145 ((918) 398-6595), or 16325 N May Ave, Suite A10, Oklahoma City OK ((405) 843-2533). We would be happy to provide you with a free evaluation and estimate on your commercial roofing project.